On a recent Friday afternoon in early November, while offices everywhere were winding down for the weekend, the Bloomington, Ind.-based Hoosier Hills Food Bank was a whirlwind of activity. “Friday is our busiest day,” said Jake Bruner, director of development and administration at the food bank during a tour of the facility. “We work hard Fridays to get a lot of food out the door and delivered to agencies.” Among its many partnerships with United Way of Monroe County agencies, Hoosier Hills Food Bank provides food for Mother Hubbard’s Cupboard, the Community Kitchen, New Hope Family Shelter, Salvation Army, Area 10 Agency on Aging, Monroe County United Ministries, Boys & Girls Clubs of Bloomington, Girls Inc., Amethyst House, and Middle Way House. 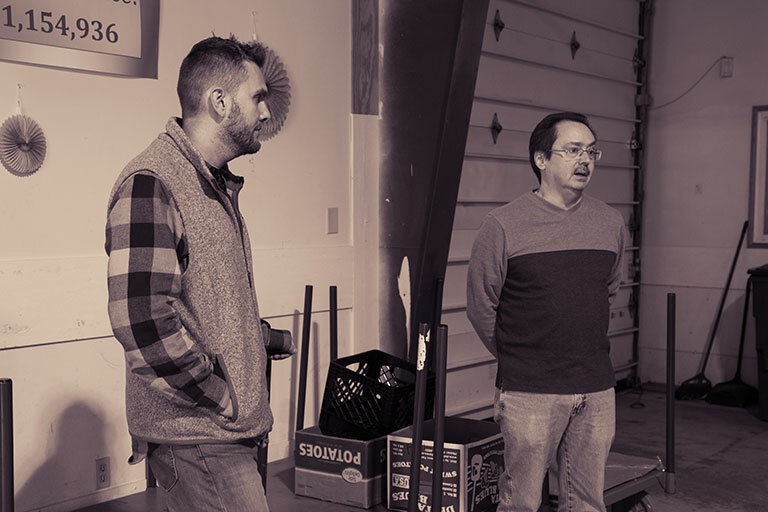 Bruner provided a tour through the high ceilinged warehouse rooms full of dry goods and bulk items, noting the area earmarked for IU’s Crimson Cupboard, an on-campus food pantry for the IU community operated by IU Corps. A conveyor-belt bore some of the 1,000 boxes of nonperishable food that go out to seniors in six counties every month; a brand-new program has infused these deliveries with fresh foods such as apples and milk. In a cool, spotless room connected to a warehouse space with three giant refrigerators, “food rescue” volunteers repackaged unused fresh food from area farms, Indiana University, local restaurants, grocery stores such as Fresh Thyme and Lucky’s and the Monroe County Community School Corporation. Since opening its doors in 1982, the Bloomington, Ind.-based Hoosier Hills Food Bank has distributed over 60 million pounds of food to an increasing number of clients in an area that now covers Brown, Lawrence, Orange, Owen, Martin and Monroe counties. Volunteers and employees drive the food to partner United Way member agencies and mobile pantries in rural food deserts where people don’t have as much access to fresh, healthy food. 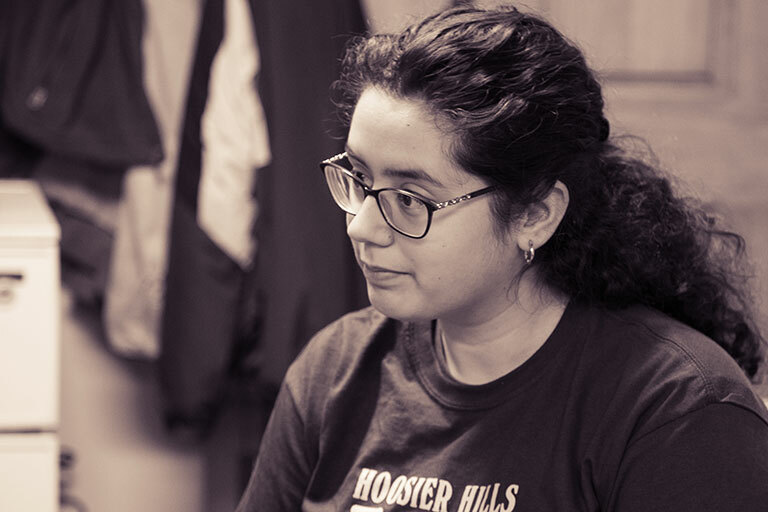 Hoosier Hills has just 12 full-time staff members and over 2,000 volunteers, many of whom are IU students, staff, and faculty. The food bank collects, stores, and distributes food that serves more than 100 nonprofit agencies, 100 food pantries, and nearly 26,000 individuals each year, also helping curb food waste by collecting and repackaging perfectly good usable food. In 2017, it distributed 4,223,459 total pounds of food and 1,154,936 pounds of fresh produce. “The agencies we work with serve children, seniors, and everyone in between. They’re addressing addiction, homelessness, domestic violence, health care – and all of these issues can cause people to be in poverty or require food assistance,” he said. Now in his third year as a grad student in SPEA’s No. 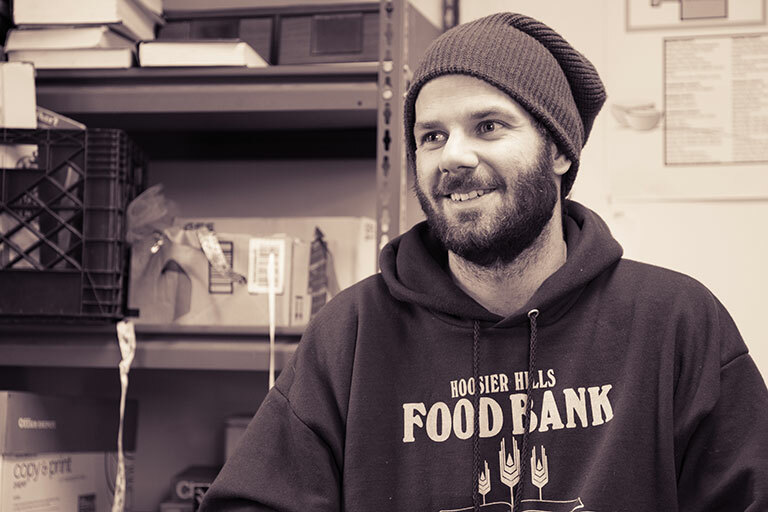 1 ranked program, Michael Etter is completing his final semester as a Service Corps Fellow at Hoosier Hills Food Bank, having worked there since 2016. 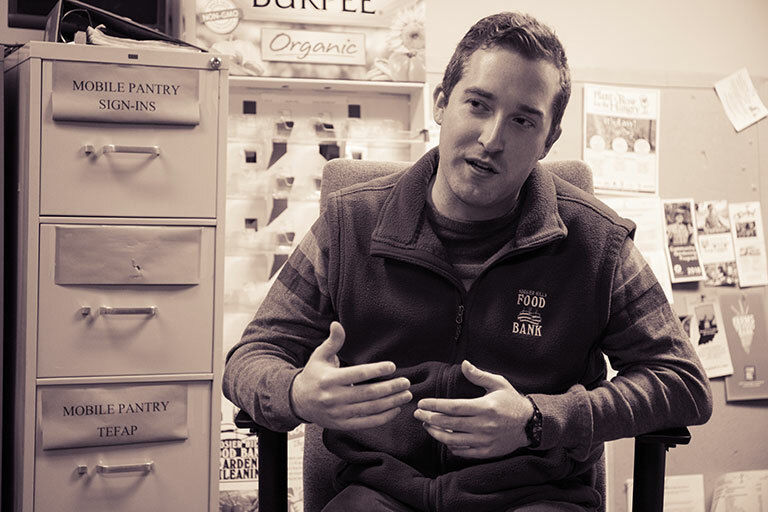 As a Service Corps Fellow on the development team at Hoosier Hills Food Bank, he does marketing outreach and helps solicit donations from the community. Currently, he’s putting together a thank-you calendar for the community featuring artwork submitted by local kids.